We’re gonna look at some images. The first one is of Batman. You know, the Dark Knight. Batman is scarred, and we can assume that this is “true to life” in that Batman lives a life where his body is constantly abused. 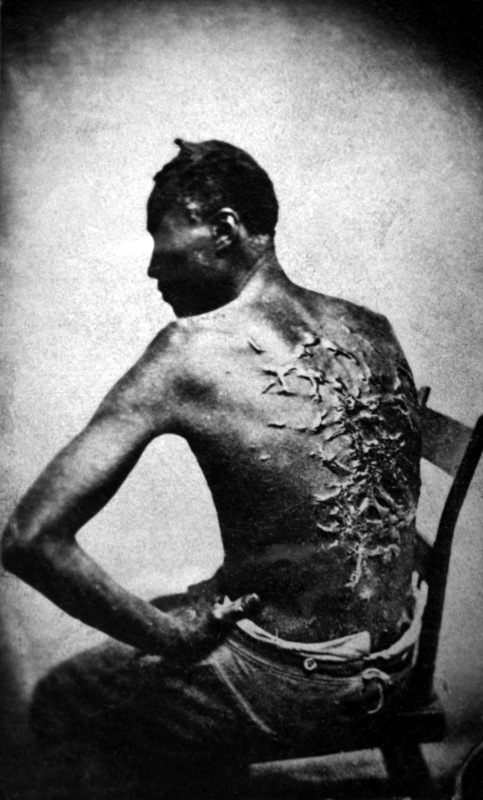 But why is his back scarred that way? It seems to me that punctures, burns, gunshot holes, and things like that are much more likely to be all over Batman’s body. 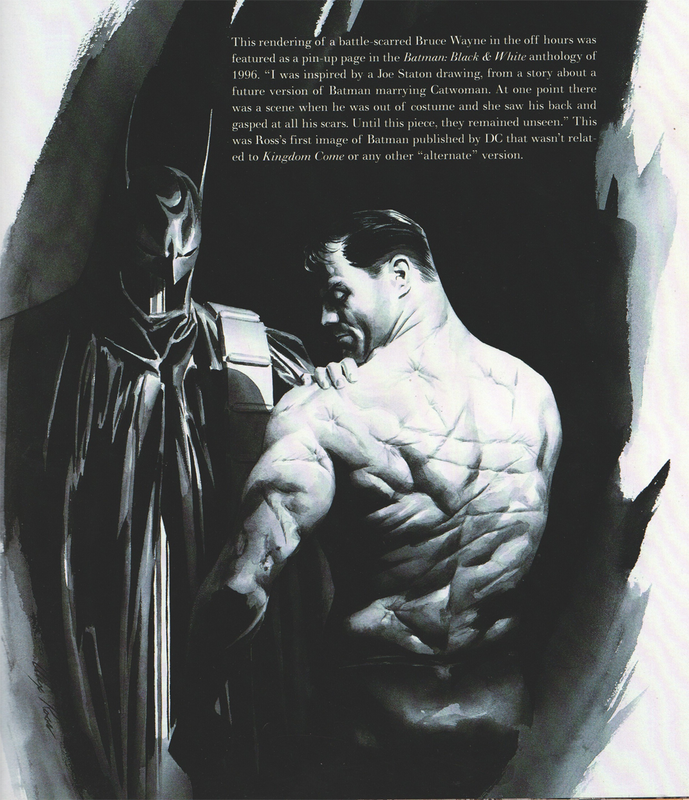 This rendering of a battle-scarred Bruce Wayne in the off hours was features as a pin-up page in the Batman: Black & White anthology of 1996. 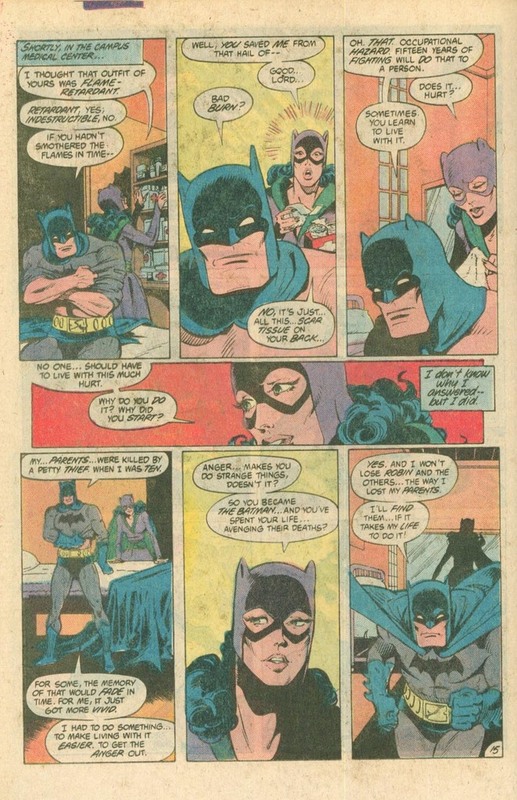 “I was inspired by a Joe Staton drawing, from a story about a future version of Batman marrying Catwoman. At one point there was a scene when he was out of costume and she saw his back and gasped at all his scars. Until this piece, they remained unseen.” This was Ross’s first image of Batman published by DC that wasn’t related to Kingdom Come or any other “alternate” version. That is, of course, a little bit different than what Alex Ross is giving us above. The scar tissue on Batman’s back is, as I read it, from burns or something else. It isn’t weird lines. It would be scrapes from sliding on his back, burns from molotovs. You know how Batman works. In rare form, I don’t have any commentary for this. These images are linked, surely, and I don’t understand the disavowal of the reference. This entry was posted in Comics and tagged alex ross, batman, comics, slavery, violence. Bookmark the permalink. I made the link as soon as I saw the Batman picture. That disavowal is definitely weird.